Big Brother is to be axed! According to the front page of tomorrow’s Daily Star, the Channel 5 show will end after this year’s summer series. 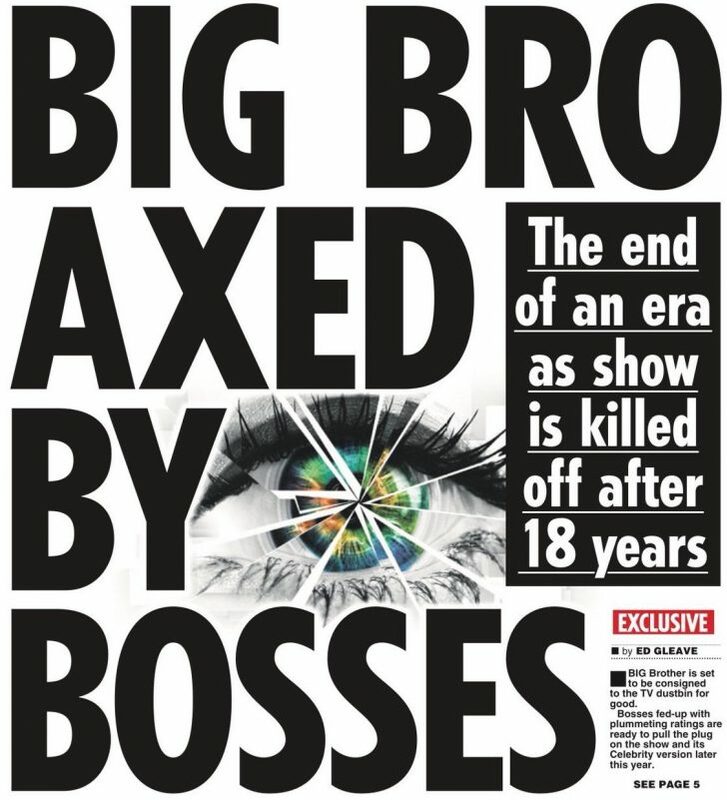 “Big Brother is set to be consigned to the TV dustbin for good,” says the front page. If true, this will bring an end to its 18 year run. The show first aired on Channel 4 in 2000 with Channel 5 picking up the right in 2011.